Here’s some good news for those who have battled cancer: women who have survived breast cancer are enjoying the same quality of life as those who have never had the disease. Researchers based at Mount Sinai Hospital in Toronto, Ontario recently conducted a study to measure the quality of life of breast cancer survivors. About 285 women were recruited for the trial and were asked to fill out questionnaires. The cancer survivors rated pain symptoms, fatigue levels, and overall quality of life. The study spanned the period from one year after diagnosis to 12 years after diagnosis. As a comparison tool, the researchers also had a second group of women answer the same questions about their quality of life. These women had never received a cancer diagnosis. The researchers found, when looking at both groups, that the women diagnosed with breast cancer suffered adverse effects associated with the initial diagnosis and treatment. However, after these initial struggles, the women made a quick recovery and their quality of life improved. In fact, the researchers were able to determine that women with or without breast cancer shared a similar quality of life. There were two areas where a discrepancy showed: cognition and finances. These differences were small, however. The financial burden associated with having cancer can be large, even for those with medical coverage. Cancer is the second most “expensive” disease behind heart disease. In the U.S., Medicare may pay only a third of the cost of cancer care and treatments. There are other costs associated with dealing with the disease that are usually paid out-of-pocket. These costs include transportation, childcare, and income lost due to a leave of absence from work. Despite the financial differences between those who have survived breast cancer and those who have remained free of the disease, this latest study has found that breast cancer survivors are returning to work within the first year after diagnosis. 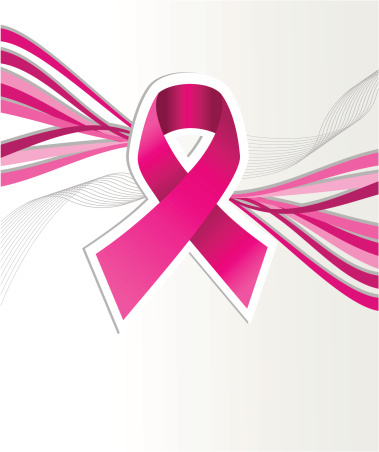 This has helped to minimize the financial burdens experienced by breast cancer survivors. The researchers hope that these results prove reassuring to women. They also point to recent statistics that show breast cancer death rates being the lowest since rates were first monitored in the 1950s. One other benefit amongst breast cancer survivors—and one that remains largely un-measurable in scientific terms—is an increased appreciation and enjoyment of life. While no breast cancer survivor is happy to have been diagnosed with the disease, they do cite an increased confidence and motivation to get the most out of life. Many travel and participate in activities they had long since given up on trying. Many breast cancer survivors also find themselves renewing and deepening their connections to family and friends. And too, there are reports of breast cancer survivors using their recovery to propel themselves into a new career. Many survivors also adopt a healthier lifestyle. They eat a much healthier diet post-diagnosis and they engage in more physical activity. These two lifestyle changes alone are likely responsible for improving the quality of life of many survivors, in some cases, beyond what they experienced before coming down with the disease. “Quality of life of breast cancer survivors reassuring,” CBC News web site, Oct. 28, 2013; http://www.cbc.ca/news/health/quality-of-life-of-breast-cancer-survivors-reassuring-1.2252277, last accessed Nov. 12, 2013. Hsu, T., et al., “Quality of life in long-term breast cancer survivors,” J Clin Oncol. October 2013; 31(28): 3,540-8. Rose, A.A., et al., “Blood levels of vitamin D and early stage breast cancer prognosis: a systematic review and meta-analysis,” Breast Cancer Res Treat. October 2013; 141(3): 331-9.